Please be aware of Bumsters. These unemployed young men hand around the hotels offering their services such as guiding, selling items or just "being friendly". We advise you to please help those with employment to stay employed. The past few tourist season's have been the worst for a long time with many businesses having to close so please try and support those still in operation as much as you can. However, please be polite to them, strong and confident. Never say "Maybe another day" unless you mean it, because they will hold you to it. Never admit it is your first time in Gambia. Say you have been before and have many friends. This will discourage any unwanted attention from them. Bumsters can be very craft so if you are approached by people saying "Do you remember me from the beach/hotel" etc don't be fooled. Say no with confidence. Don't believe everything they tell you. Stories of ill health or sponsorship for a younger family member are very common and the majority of the time, not true. Not ALL bumsters are bad people. Most are just chancers hoping to get a little cash out of you during your stay. The key is just be on guard at all times. Tipping is appreciated by those working like waiters, drivers, cleaners etc. But try to keep it reasonable and not over generous. There are few fixed prices in Gambia (except at the supermarkets and restaurants) so you'll find that in order to survive, you must barter (otherwise you will be seriously ripped off!) 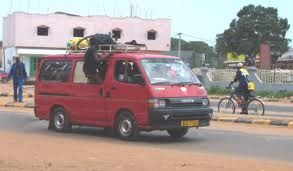 Whether you are taking a taxi (except local taxi's which are fixed price) or shopping in the local craft markets or the larger markets in Serrekunda and Banjul you will be expected to barter. Bartering can be a lot of fun, although sometimes quite daunting, especially if you have never done it before. Sometimes the salesmen can get very persuasive and pushy but just remember that you don't HAVE to buy anything and can walk away if you want. You should aim to pay about 50% of the original asking price. The best way to barter is in the form of friendly exchange rather than loosing your temper. The stall holder will tell you the highest price he can for the goods so decide what you actually want to pay and offer half of that as your first price. Gradually he will come down and your offers will go up until you meet at an agreed price around the price you wanted to pay. The Gambia is a very peaceful country with very little crime and even less directed at tourists. However, as with anywhere in the world, there are thieves about so please take care of your valuables. 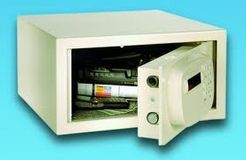 We do encourage you to hire and use the safe in your hotel room or to share with someone else. If the worst happens and something does go missing please report it to reception. Try not to walk around with large amounts of cash on you. Electricity is precious in Gambia and there are frequent and sometimes lengthy power cuts. The hotel does have a generator but please be aware that there maybe short black outs until the generator is started. Also, don't expect every compound or place you visit to have electric. The voltage in Gambia is the same as in the UK so you can use your appliances without a transformer. The sockets in the hotel are all 3 pin the same as in England but some of the rooms at Tendaba are European 2 pin style which you will need an adapter for. Bottled water and small bags of water (2 dalasi) that is ok for tourists to drink can be purchased in most shops. The local water is not safe to drink although the hotel water can be used for teeth cleaning as long as it is not swallowed. Please make sure you always carry water on you and ensure you drink plenty during the day. Please be aware that, whist it is safe to swim in the sea in Gambia, there can sometimes be a very strong undercurrent even though the surface looks calm. Please also be aware that although there is a flag system operated on the beaches, there is not always a lifeguard present. 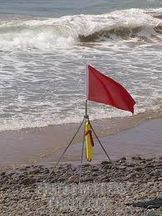 A red flag means do NOT swim. A yellow flag means swim with caution and stay near the shore and a green flag means it's ok to swim. Please take note of any warning signs posted along the beach. People have drowned in the sea there so please act responsibly. There are 3 main ways to travel around The Gambia (as well as walking!) The tourist taxis, which are green. They will often charge you a higher price than other taxis but are normally reliable and you can hire these for full day trips. The local taxi, which is yellow and green follow a set route, like a bus route. These cost 7 dalasi per person no matter where you get in or out. You may have to take 2 or 3 local taxis to get to a certain place. You can also hire these as "town trip". This means that the driver will take you to a specific place for an agreed price. Normally cheaper than the tourist taxi. Make sure you agree on a price before you go anywhere. (Please speak to Jojo if you would like to hire a taxi or car for the day as she knows some reliable drivers who don't charge too much!) If you arrange for the same taxi to pick you up at a certain time then do not pay them until your return journey. Thirdly are the jelly-jellys. These run the same as local taxis but are small mini-vans and can be any colour. These also cost 7 dalasi per person but can be very squashed. It is however a fun experience!! Just so you are not surprised, you will find the majority of the local taxis and jelly-jellys would NEVER pass an MOT in England and often have doors hanging off, springs through the seats and even hand-brakes missing! Please be aware and try to avoid insect and animal bites by using insect repellents. Plug-ins are the most effective way to keep the mosquitoes away during the night although the local smoke rings can be bought from the shops to burn during the night. These have however, caused a cough with some people in the past. Malaria is very common in The Gambia so please remember to take your anti-malarial tablets during the trip as well as for the advised period on your return home. Each room will be provided with a mobile phone to keep in contact with the rest of the group or your team and so that the core group can keep you informed on any changes to the itinerary. However, if you have brought your own phone from home you might like to think about purchasing an African Sim. Your phone should automatically connect with one of the Gambian networks but calls can be very costly due to the roaming charge. With an African Sim text to England cost just 3 dalasi which is approximately 6p. 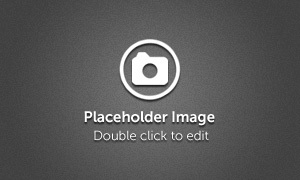 It is also a good way to keep in touch with other members of the group and is very cheap to use. Please remember to add +44 and miss off the 0 of any number you are texting or calling in the UK. It is a Muslim country and although the tourist areas are very westernised please be respectful of the culture when visiting places like the hospital or when in the rural villages. Shoulders should be covered and long shorts or to the knee skirts should be worn. Please also ensure that you do not wear a top that is very low cut and that your stomach is covered. (It is ok to wear a light scarf or sarong to cover your shoulders/chest).